During a meeting last week in Montauk, New York the Mid-Atlantic Fishery Management Council approved a framework action to modify the boundary of one of the region’s two Scup Gear Restricted Areas (GRAs). The proposed change to the Southern Scup GRA boundary is expected to increase the availability of longfin squid to small-mesh fisheries. The GRAs were implemented in 2000 and are intended to reduce discard mortality of juvenile scup. The current GRA regulations include a Northern GRA, which is effective from November 1 through December 31, and a Southern GRA, which is effective from January 1 through March 15. Trawl vessels which fish for or possess longfin squid, black sea bass, or silver hake (also known as whiting) are required to use mesh 5 inches or larger in the GRAs during those times of the year. The scup stock has expanded substantially since the GRAs were first implemented, and analysis conducted by scientists at the Northeast Fisheries Science Center indicate that the GRAs were partially responsible for this rebuilding. In response to an industry request, the Council initiated a framework action in 2014 to address potential changes to the scup GRAs. The framework considered a range of alternatives, including modifications to the GRA boundaries and elimination of one or both GRAs. After a lengthy discussion of the impacts of the proposed alternatives, the Council voted to modify the boundary of the Southern Scup GRA. The proposed change, shown in Figure 1, is based on a proposal developed by members of the Council’s Summer Flounder, Scup, and Black Sea Bass Advisory Panel. 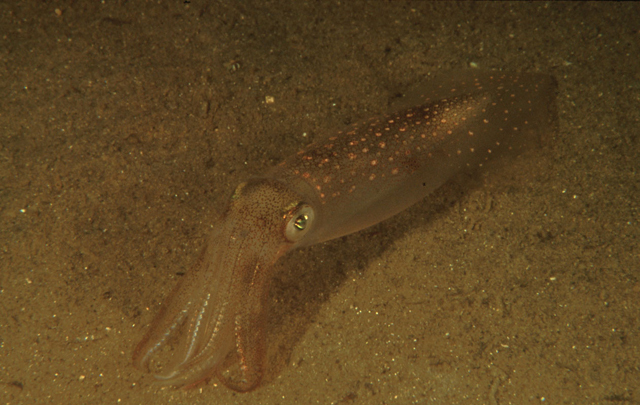 Due to a change in one of the two observer programs (Standardized Bycatch Reporting Methodology or SBRM) that apply to the Longfin Squid Fishery, the observer waivers you receive through the Pre-Trip Notification System will no longer apply to SBRM observers when this change goes through. The system will operate as usual after this change, but be aware that any waiver you get will only apply to observers from the butterfish mortality cap monitoring program. You may still be asked, either verbally or by a letter, to take an SBRM observer on a trip. For more information on this change, please read our letter. Information about the Mackerel, Squid, Butterfish Fishery Management Plan regulations is available on our website. Pre-Trip Notification procedures remain the same. Notify us either by emailing nefsc.ptns@noaa.gov, logging into our website (https://fish.nefsc.noaa.gov/ptns/), or calling 855-FISHES-1 (855-347-4371). Contact Amy Martins, Northeast Fisheries Science Center, at 508-495-2266 or Amy.Martins@noaa.gov.